Some of the greatest names from the worlds of fashion, art and music attended the British Heart Foundation's Tunnel of Love fundraiser at the Victoria and Albert Museum earlier this month to raise money for their fight against heart failure. The event was fronted by British model Amber Le Bon and Youtube sensation Jim Chapman, with other guests including fashion vlogger Tanya Burr, model Millie Mackintosh, blogger Niomi Smart, TV presenter Angela Scanlon and Ladies of London star Marissa Hermer. High-profile artists in attendance included Gavin Turk and novelist Anthony Horowitz OBE. 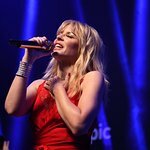 Pixie Lott took to the stage during the evening, with Lilah Parsons hitting the decks to get the party started followed by Billy Clark taking the later DJ slot. Hugh Edmeades, Christie’s International Director of Auctioneering, conducted the live auction which raised almost £70,000 for life saving research. The star prize of the evening was the chance to feature in Anthony Horowitz’s new Sherlock book – and two parts were auctioned for an incredible £23,000. The chance to have a portrait painted by Humphrey Ocean RA went for an incredible £11,000 and a week in a private house in Barbados raised £10,000. Guests also had the chance to bid on unique lots, including Kylie Minogue's couture dress; a sought-after photograph of the Rolling Stones from 1968; a mentoring day to see inside workings of a top London fashion magazine and flowers for a year from Absolute Flowers and Home. Guests enjoyed Boujis cocktails during the canapé reception and a sumptuous three course meal by Zafferano accompanied by William Hardy Chardonnay and Shiraz. After dinner, guests played games including The Shoopla by Rayne Shoes, the Designer Bag Raffle and Perfume Roulette and Boujis hosted an after party. All proceeds from the event will help raise funds for the Mending Broken Hearts Appeal. Simon Gillespie, BHF Chief Executive, said: "It was such an incredible evening and we’re so grateful to everyone who came for making it such an unforgettable night.